A little round up of music I’m listening to, little snippets of audio from great movies I’ve seen and general entertainment. Just got emailed this, asthma thought it was worthy of a blog post. Created for a best bakery of the year competition. Stumbled Upon this site today. Make your own Southpark character, visit Southpark Studios to create yours today. Do you think it looks like me? 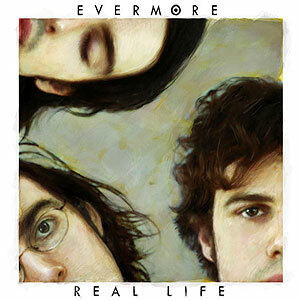 I’ve found myself listening to Evermore’s new album heaps recently lot since I got a copy a few weeks ago. It’s such a cool album, with a lot of great tracks on it. Something you can enjoy while coding, driving or just hanging out. Visit the bands official website. View, Listen and Purchase tracks at DigiRama. My brother wanted some new audio clips in a podcast so I had to deliver. Here is a medley of audio clips from Wedding Crashers and Bay Boys 2. Of course I had to have some background music so I chose Ooh la la – By The Wiseguys, from the movie Big Brother staring Adam Sandler (one of the funniest actors/singer/songwriters around). While in Auckland in the weekend, site I just had to record our little niece Alyssa, doing her magic trick. So I compiled some clips I took on my digital camera, and threw in some music and voice of Alyssa, and bobs your uncle. Enjoy. Why don’t you just go to your home! A great song by a great band, case with a fantastic video. Awesome chorus, just turn up the sound and enjoy!